Fraud has serious consequences for the parties involved. Let Pierson & Pierson, CPA’S PLLC help you get to the bottom of money laundering and fraud cases. As your source for forensic accounting in Conroe, TX, we leverage our many skills to ensure you get the data you need relating to your legal concerns. White collar criminals steal from honest citizens and can leave others to suffer undue hardship. Money laundering, corruption, false reporting, and similar offenses can lead to financial loss and impact the livelihoods of countless individuals. When you suspect an individual or organization is exploiting numbers and falsifying records, it is important to work with an accounting firm that has can reveal the factual records--and also support you in the courts. That’s where we come in. Our CPAs are specialists in forensic accountancy. 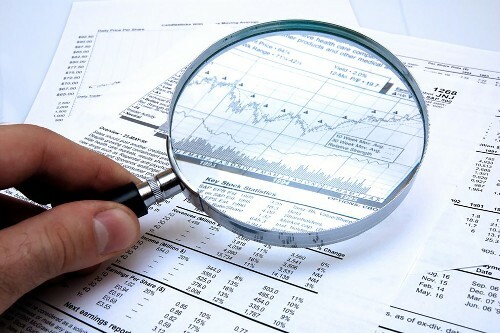 We excel in investigative accounting, finding the source of records, verifying their validity, and supporting the efforts of legal teams and law enforcement. As skilled accountants and subject matter experts, we work hard to reveal the truth. Let our team strengthen your case and broaden the capabilities of your investigation: we’re here to help. Our forensic accounting services are highly versatile. We utilize our skill and experience as accountants, as well as the latest technology and resources to uncover the details. We work hard to find evidence of fraud and present our findings in an appropriate format for the courts and related legal proceedings. Investigation: When you suspect an individual or organization has committed fraud, let us find the evidence. We work closely with your investigation team to retrieve and analyze financial records, track transactions, and gather the facts and supporting documents to build your case. Litigation Support: Whether at the negotiating table or the courtroom, our accountants are at your side to set the records straight. We present the facts of your case and provide expert testimony. We are highly knowledgeable in courtroom procedures. Let our more than 28 years of experience work for you. We work hard to uncover the truth and ensure we do our part to see justice served. Request a consultation and let us bolster your legal team. Contact and request a consultation for our forensic accounting services. We serve Conroe, TX, including Houston, The Woodlands, Spring, Tomball, and the surrounding area.